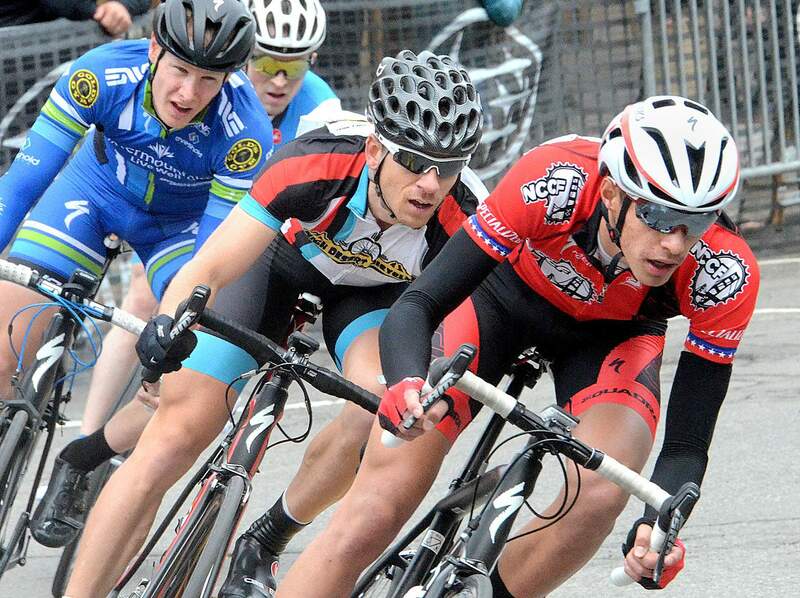 Durangoan Chris Blevins is making big waves in the world of cycling at only 18 years old. Before graduating from Durango High School, he claimed two big wins in Europe this month. Durangoan Chris Blevins is proving to be one of the top juniors in the world after a win on his road bike two weeks ago and a first-place finish at the UCI Mountain Bike Junior Series World Cup event Saturday in Germany. Durango’s Christopher Blevins took his turn at the front during the Iron Horse Bicycle Classic men’s pro criterium in downtown Durango, and he has been no stranger to the front during the early racing season in Europe this year. When Christopher Blevins loaded onto an airplane for Europe three weeks ago, nobody could have expected the hardware he would return home with. Blevins will land at the Durango-La Plata County Airport late Sunday after the most successful stretch of cycling in his young career. 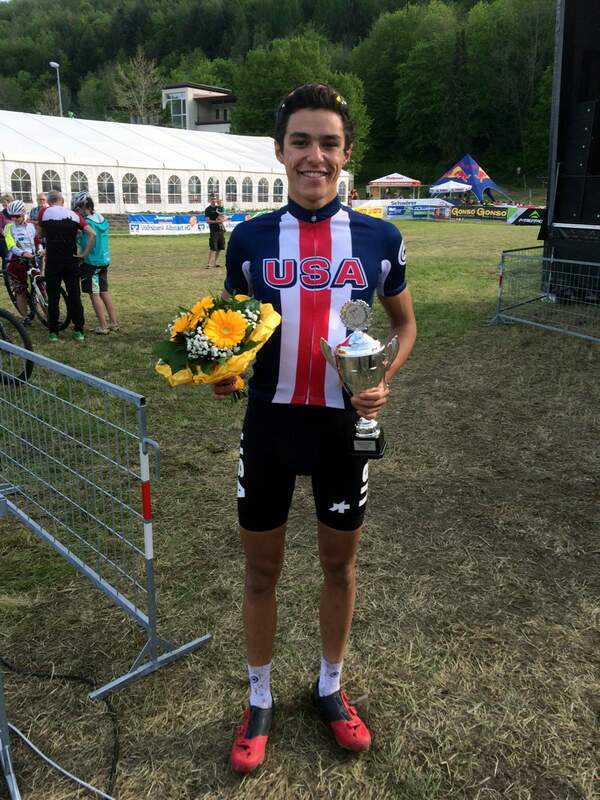 The 18-year-old from Durango placed first Sunday in the mountain UCI Junior Series Cross Country race in Albstadt, Germany, only two weeks after winning the Course de la Paix (Peace Race), a five-stage road race in the Czech Republic. Blevins did it all as part of the USA Cycling juniors team, and he will now turn his attention to preparation for the UCI Mountain Bike & Trials World Championships, but not before attending his graduation at Durango High School this Friday. In Saturday’s mountain bike race, Blevins put 25 seconds between himself and the closest competitor and led the race start to finish. It came one week after he took second at the Ussel French Cup mountain bike race. The field in Germany had even more talent, but, after getting more accustomed to his mountain bike after weeks on the road, Blevins again displayed his prowess on fat tires. 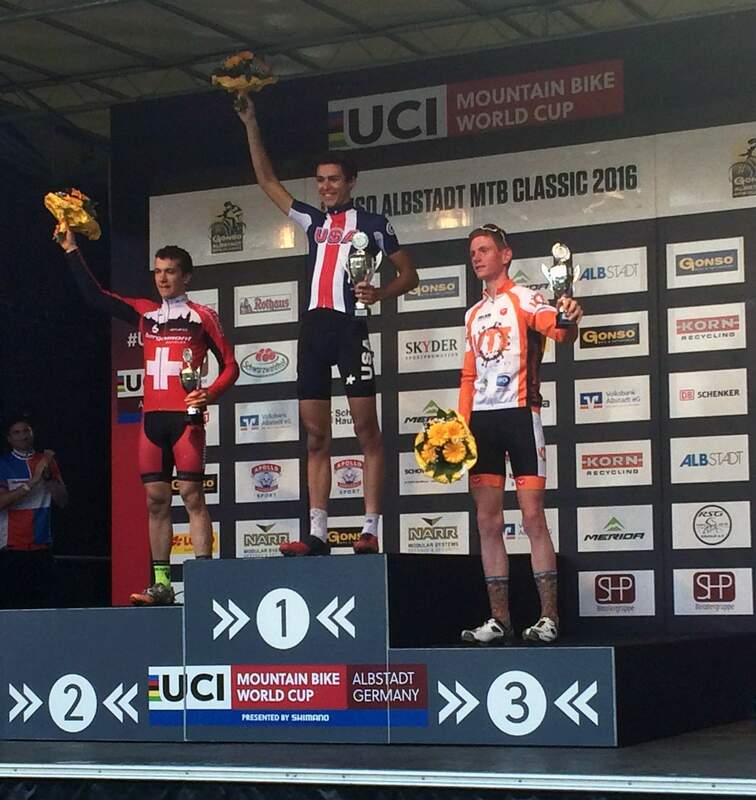 “Congrats (Chris Blevins) winning the first round of the Junior World Series in Albstadt today, no type of bike race he can’t win,” Durango’s three-time Olympic mountain biker Todd Wells posted to Twitter. After a week in Europe, it was time for the Peace Race. Blevins claimed the yellow jersey with a combined time of 9 hours, 28 minutes, 10 seconds to edge Russia’s Evgenii Kazanov by 24 seconds. He took fifth in the first stage and was fourth in the third stage. The third stage featured the biggest climbs of the race, and that’s where Blevins gapped the riders that had been in front of him. He held off attacks the final two stages for the big win. According to Durango DEVO, Blevins is only the second English-speaking rider to win the Peace Race. After winning the stage race in the Czech Republic, Blevins returned to the USA Cycling base in the Netherlands to meet up with the mountain bike team. Blevins finished second and 15 seconds behind first in France. He told his parents he felt a bit out of rhythm on the technical sections after getting off the road bike, but he still had a phenomenal result. After arriving in Albstadt a few days early, Blevins was able to get used to the course. He was joined by Durangoan Howard Grotts, who will race in the UCI World Cup event Sunday in Albstadt. Blevins has made a trip to Europe every year since he was 15. A year ago, he struggled with illness and suffered disaster when his chain broke on his very first pedal stroke at last year’s mountain bike world championships in Andorra. Field Blevins and his wife Priscilla watched their son make a tough decision this year. Instead of racing a few more big events in the coming weeks, he went to Europe early so he could come home for his high school graduation. Blevins plans to attend Cal Poly in San Luis Obispo, California, next year. His sister is a sophomore at Stanford University. Blevins took online courses so he could attend races. He will enjoy Friday’s graduation and could even participate in the Iron Horse Bicycle Classic mountain bike race Sunday in Durango. The Blevins family credited their son’s success to his early days riding with Durango BMX. He started racing as a 5-year-old and learned the ups and downs of the sport in the process.